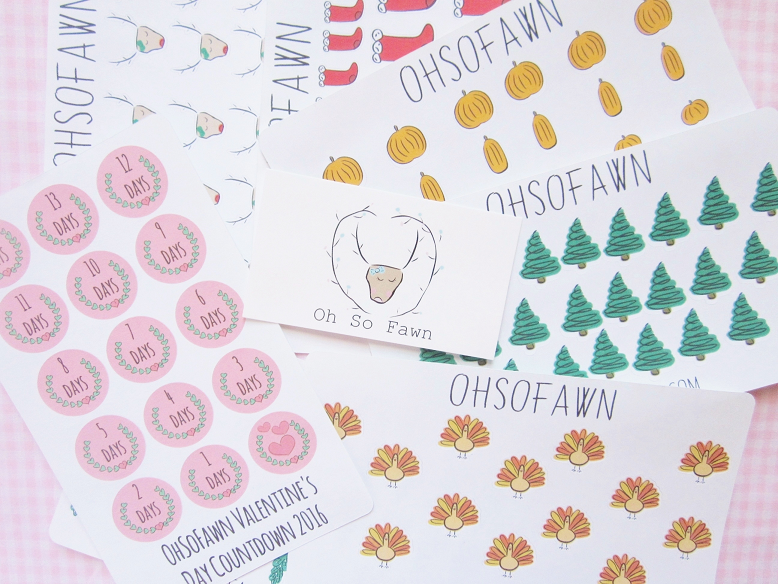 Oh So Fawn is a really cute sticker shop based in Florida run by Abby. She hand draws the stickers herself and they're so cute! I've always wanted to purchase from her shop but never have before until now! She was selling a few mystery bundles in her shop so I felt like it was the perfect excuse to finally buy from her shop! The mystery bundles contain 7-8 sheets of stickers at a reduce price because they're not "perfect" stickers and may have been cut or printed wrong. I love buying these packs because they're a complete steal and you never know what type of stickers you may get! Everything came package so cutely! The stickers arrived in a pastel pink bubble mailer! Tucked inside was a green polka dot bag with the stickers in a clear bag, they were double packages so they arrived extremely safe and secure. 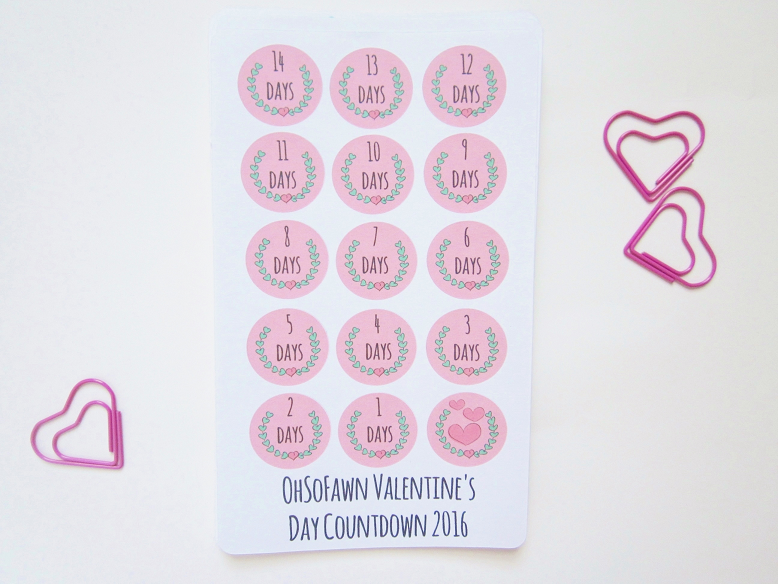 The first stickers I saw were these Valentine's Day countdown stickers! I was going to buy some of these for Valentine's Day from another seller but not anymore because these are precious. These are all the stickers I received in my bundle. Honestly, I was kind of bummed when I saw that I got mostly holiday themed stickers. They are all super cute but this means I have to wait until October to start using these stickers. 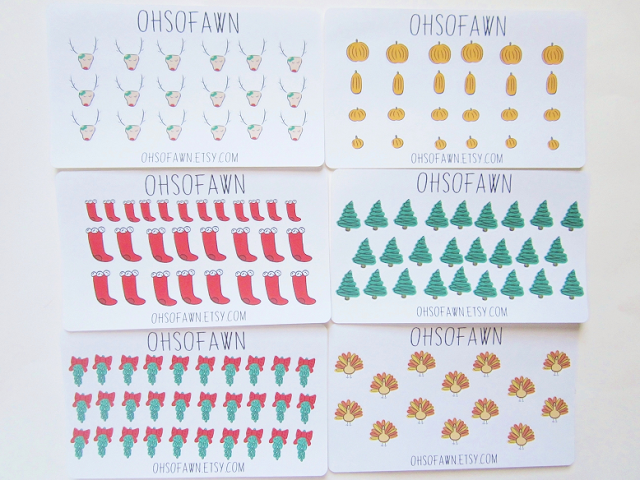 I think I can get away with using the fawn and tree stickers but the rest of them will have to wait. 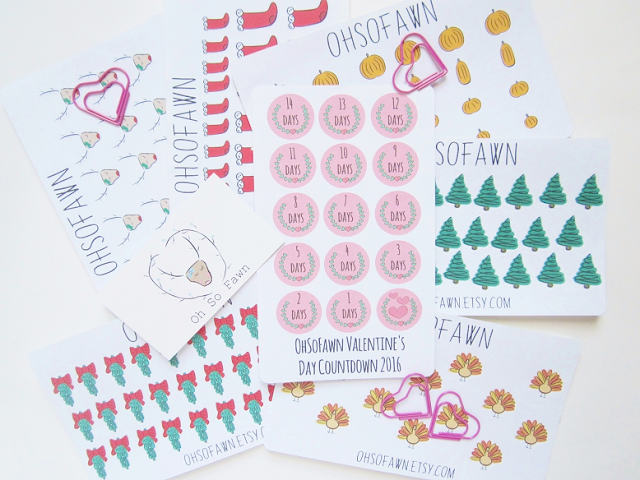 Have you ever bought any stickers from Oh So Fawn before?